Salvia is a plant that is dried up. smoked or chewed to produce dissociative and euphoric effects. When smoked, salvia has dissociative effects. Salvia Divinorum is a psychoactive plant that can produce strong dissociative effects when it is smoked or eaten. The level of effects that a user will feel are not easily determined from one user to the next and the unpredictable nature of this drug makes it highly dangerous. Although a relatively new drug being used in the United States, Salvia Divinorum has long been used in Mexico by tribes attempting to evoke a religious connection. On the streets this herb is known as Salvia, Diviner’s Sage, Seer’s Sage or one of many other street names. Most of the names reported include some reference to sage because the plant resembles a sage plant that commonly grows in the lower western hemisphere. Salvia Divinorum grows on a plant and the leaves are later chewed or smoked to produce euphoric effects. The plant is native to Sierra Mazateca in Mexico and does not naturally grow anywhere else in the world. While Salvia Divinorum can be planted in other moist and shady locations, the majority of Salvia production takes place in Oaxaca, Mexico where it grows wild and naturally. To date, botanists are unable to determine whether Salvia is an original species or if it is a hybrid of some other type or types of plants. The plant has a square shaped stem that remains hollow throughout the life of the plant. When flowering, Salvia produces violet colors amongst the large, sage like leaves. The effects that Salvia Divinorum will have on the user range from mild to moderate and may include extreme dissociation which can lead to erratic behavior. As such, the drug is highly dangerous due mainly to the unpredictable nature of the drug and the inability to determine how each use of Salvia may affect the user. When smoked, Salvia will produce a trance like state of mind in which the user can place himself into another era. The out-of-body experience or dissociation will usually only last a short period of time, generally less than an hour with each dose. Repeat doses of Salvia can lead to long term periods of dissociation and may have serious impacts on the user. Sensual appreciation is possible when Savlia is smoked but if the drug is used at high doses visual trance and out of body experiences are likely. People who smoke Salvia Divinorum report feeling as if they are “dreaming” or not really there. It’s as if they are watching themselves do things and experience things but they are not actually in their own body. Speech patterns are often confused or otherwise difficult to understand when Salvia is being used. Users who smoke too much Salvia are at risk of losing consciousness which can lead to additional problems or dangers. One of the biggest dangers with Salvia Divinorum is the lack of tolerance that users develop whent hey repeatedly use the drug. In fact, many people report that they actually experience increased effects of Salvia with each subsequent dose that they take despite the normal occurrence of most drugs to produce tolerance that reduces the effects over time. As such, people who abuse Salvia Divinorum are at risk of smoking the drug and experiencing unsuspected side effects with each subsequent dose that is taken. There is no way to know whether a lack of tolerance will impact your use of the drug and there is no recommended safe level of salvia use as this drug will produce dissociative experiences which can cause the user to react in adverse ways. The dangers of Salvia Divinorum currently surround the risk of this drug to cause behavioral changes that would not otherwise ensue in the average user. People who use Salvia have reportedly been in accidents involving serious or even fatal injury as a result of the dissociation that occurs when the drug is smoked. Suicide is also a serious threat for Salvia users as the out of body experience that a user experiences is often responsible for causing the individual to have such severe anxiety or paranoia that they act out in fear and attempt to “stop” the fear that they are experiencing. There are also risks of side effects such as lung disease, lung cancer or respiratory damage associated with smoking Salvia. This drug is highly unpredictable in nature and therefore very dangerous. There is no way to know exactly how Salvia will affect you or what to expect even with each dose of Salvia Divinorum. 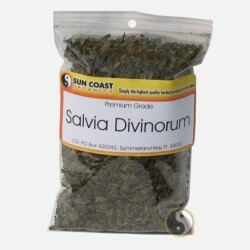 At this time, Salvia Divinorum is not considered to be an addictive substance but it is still very dangerous. Though most users will not experience physical or psychological dependence to the drug, they can experience unplanned effects that may cause them to act irrationally or erratically. Continued use of Salvia can lead to a reduction of tolerance that causes the effects of the drug to become more pronounced with each use – an opposite effect of what normally occurs when other drugs are abused. 5 Side Effects of Salvia You May Experience - Learn about the potentially dangerous impact of Salvia. Are There Currently Any Approved Treatments for Salvia Addiction? - Although salvia hasn't been proven to be addictive, you can still seek help to overcome abuse. Can You Develop a Salvia Tolerance? - When a person uses salvia divinorum often they may develop a tolerance to its effects, meaning that they need to take more of it to feel them. This can have dangerous conseqeunces. Can You Experience a Salvia Overdose? - Ingesting too much Salvia can cause many adverse effects. Common Side Effects of Salvia - Salvia is a powerful drug, and its effects and side effects are numerous. It has been known to cause psychosis-like symptoms, while also causing anxiety, headaches and other effects.